Roger joined the Einstein team in October of 2016. 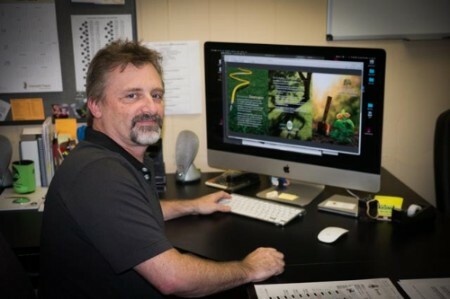 He has been in the Graphic Arts Industry for 29 years. 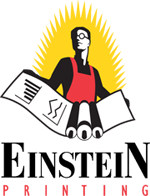 It all started with a degree in Visual Communications (Commercial Art) from the Art Institute of Dallas. He owned and operated his own commercial printing & sign business for eleven years in Oklahoma before returning to the Dallas area. As a naturally talented artist, Roger enjoys drawing and painting in his spare time. Roger has served on numerous boards over the years, such as Main Street Authority, Chamber of Commerce, AMBUCS, Ponca City Junior Baseball and he started the North Central Oklahoma Branch of the Quality Deer Management Association back in 2001. He has two young adult children that he loves to spend time with when he can, a daughter that lives in Odessa, Texas and a son that lives in Ponca City, Oklahoma. Roger loves to fish for largemouth bass and hunt deer.